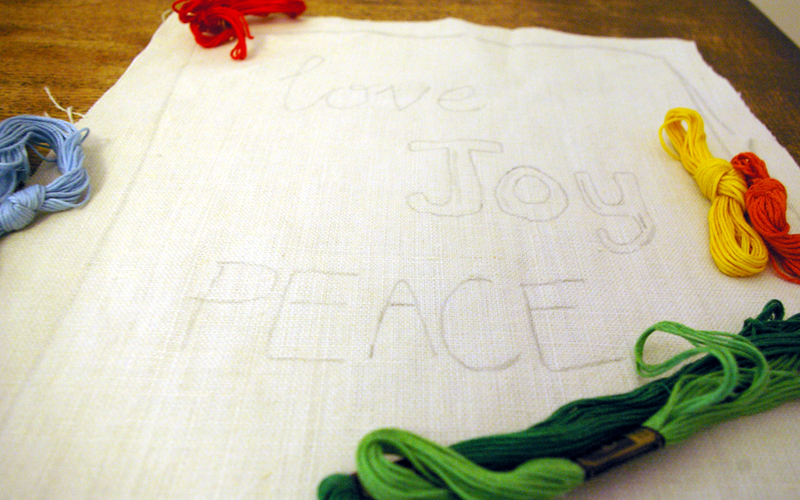 well if I am going to embroider words onto my cushions I thought I had better have a go at embroidery! I love embroidery I think it is sooo pretty so it was a pleasure to try! first I wrote out some words on paper, the sizes that I wanted. I chose Love, Joy and Peace! 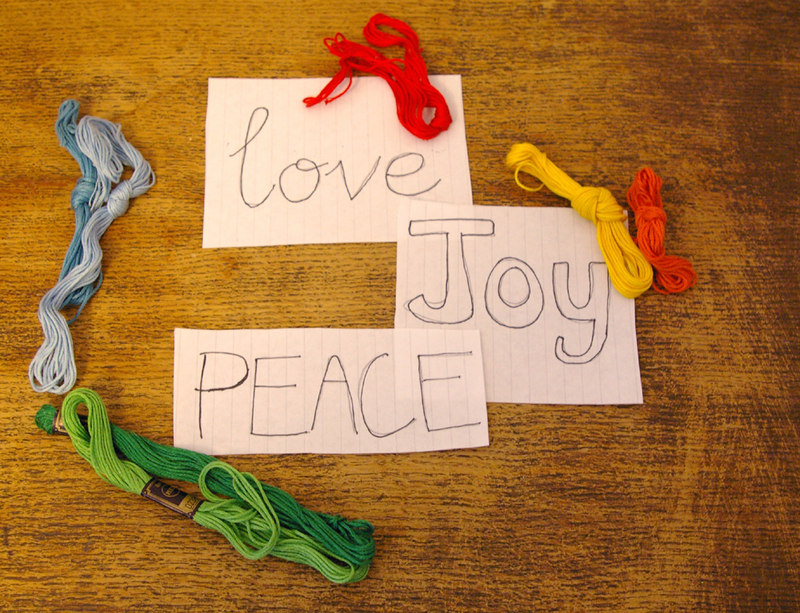 and chose the colour of thread I wanted to use for each word. 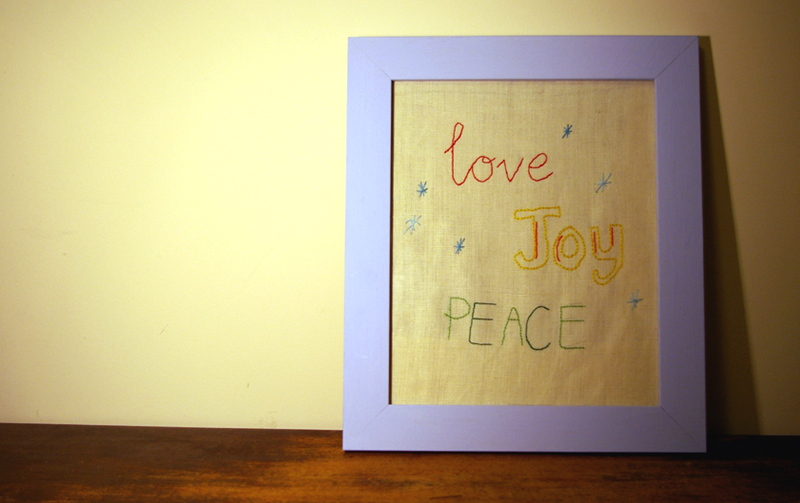 finally, using back stitch I simply embroidered the words onto the fabric… et voila! This entry was posted in sewing and tagged craft, DIY, embroidery words. Bookmark the permalink.